With increasing numbers of people reporting issues with anxiety, more attention is being paid to anxiety disorders and how they affect the general population. But anxiety isn’t just affecting adults. Children and teens are also suffering from a range of anxiety disorders that were once thought to be exclusively “adult” health issues. An article from the University of Florida about anxiety in younger people provides an overview of several anxiety conditions and how they manifest in children. 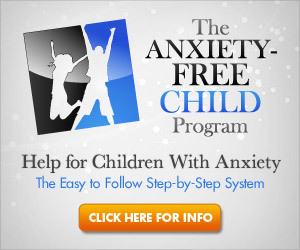 Read about two common anxiety disorders and how they appear in children and teens. While most people experience discomfort, worry or embarrassment in a social situation from time to time, a person who has social phobia will feel these emotions much more acutely. Social phobics believe that social situations will be awkward, unpleasant and frightening. The reason they feel such severe fear of performing poorly in a social setting is that they do not want others to think poorly of them. Social phobics greatly fear negative criticism. They are afraid of people disliking them, disapproving of them, or finding fault with them in some way. People who have social phobia are especially afraid of being rejected by others. For a child or teen who has social phobia, being around peers can be very difficult. Something as basic as attending school can be a nerve-wracking experience when one is petrified of being disliked or criticized. OCD can be a very serious and disruptive anxiety condition, especially for a child. OCD causes frequent, repetitive anxieties to appear, often without cause or basis. Common topics of worry for children with OCD include contamination/germs and disasters. Children who have severe OCD tend to have unusually strong and vivid fears of harm befalling them or their loved ones. To obtain a feeling of some control over their anxiety, people with OCD develop compulsions. These compulsions are repetitive actions that briefly make the person feel calmer and less worried. For a child who fears germs or illness, a common compulsion is excessive hand-washing. Even an action as simple and usually beneficial as hand-washing can become an issue if the child is so afraid of germs that he or she does it multiple times in a row. A child with OCD will feel distressed when prevented from washing his or her hands excessively, even if he or she realizes the behavior is not logical. For more information, come read more about anxiety disorders in children in the second article in this series.